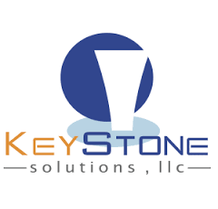 Keystone Solutions is an expert in providing enterprise class support, service, and management to medium and large business networks nationwide. We are a managed services provider(MSP) of information technology to allow businesses to focus on their core revenue-generating functions. We believe that your IT support and infrastructure should be reliable, functional, state of the art and most of all easy to use. Keystone Solutions is also a Premier Value Added Reseller(VAR) for Velocloud. Velocloud is a pioneer and innovative trailblazer in SD-WAN(Software-Defined Wide Area Networking). This technology allows branch office corporate networks to span across many Internet service providers and connections that were just a few years ago not able to handle the demands. With SD-WAN, you can simplify your branch network with zero-touch deployment, simplified configuration and the ability to monitor all devices from one cloud-based interface. Velocloud also offers the ability to aggregate your connections offering a true active/active configuration and VPN connectivity. Traffic is steered intelligently and the service includes link remediation allowing for the use of lower grade connections and no longer relying on expensive network appliances and MPLS/T1 circuits. 0	jplist-folder-All-Posts-20239 jplist-folder-All-Posts-20239 Case-Study-Case-Study	jplist-topic-Case-Study jplist-topic-Keystone	0	03/09/2017 08:45:00	A Little Caesars franchisee's was in need of several IT solutions to assist him in becoming franchise compliant, PCI compliance and have a more reliable network. Those solutions were provided by Keystone and the case study is attached for your review. 1	jplist-folder-All-Posts-20239 SPIFF-SPIFF	0	07/27/2016 20:37:03	All agents are paid a 10% recurring monthly commission for services sold as a direct referral. We need only a company who is interested in our services and we will take the process from there. Upon close of business the agent that submitted the referral will receive a 10% monthly recurring revenue check for all services rendered. We like to take good care of our selling partners and look forward to helping you. Please click on the Agent Contact form located in our navigation bar to begin the process. We are currently running a promotion of an additional $200 bonus on your first months payment for new business.You can also visit our website at www.mykeysupport.com or call one of our representatives at 866.865.3939We look forward to working with you.